"Conscription targets have been met in full. We are not short of resources." The General Staff of the Armed Forces has said that street manhunt for conscripts is an unnecessary extremity on the part of certain local military commissariats. The head of the main personnel department, Artur Artemenko, said the General Staff condemned the cases of manhunt. "Conscription targets have been met in full. We are not short of resources. It is inadmissible to act this way. What happened near the Lisova metro station [in Kyiv] and two days ago in Rivne are individual incidents. We would appreciate prompt reports about these unnecessary steps by certain military commissars," he said at a briefing. 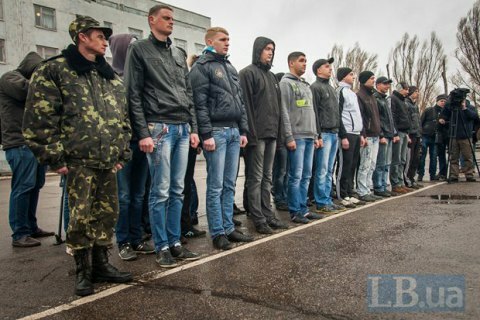 The autumn conscription campaign in Ukraine began on 1 October. It is planned to recruit 17,960 conscripts.